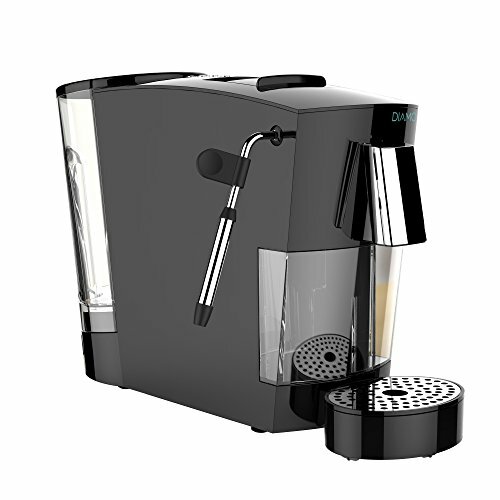 Swiss-designed with a powerful 21-bar Italian pump and 1200W thermoblock, the new Diamo One is ready to brew a rich creama-topped espresso at the touch of a button in under a minute. Delicious cappuccinos, lattes, mochas and more are easy with the stainless steel steam wand. This brewer uses Easy Serving Espresso (E.S.E.) pods to deliver consistent results every time without the mess or the waste of other single-serve systems. The removable water tank allows for easy refilling and its compact size saves precious counter space. Please note: The Diamo One accepts Easy Serving Espresso (E.S.E.) pods only, not grounds. Standard E.S.E. pods are 45mm in diameter. If you have any questions about this product by Diamo, contact us by completing and submitting the form below. If you are looking for a specif part number, please include it with your message.